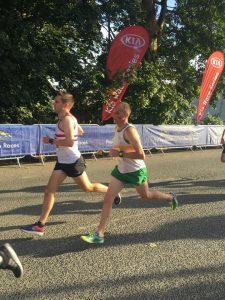 Dunshaughlin 10K, June 23 2018 - Civil Service Harriers A.C.
One of the sunniest Saturdays of the year saw a crowd of CSH masochists head out to Dunshaughlin to run in their annual 10K race. The race is known for being flat and fast with many in the club having achieved their PBs here. It also attracts some big names in Irish athletics. 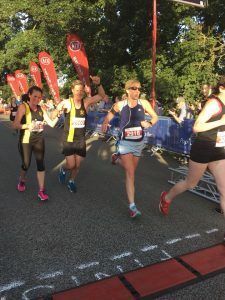 There was definitely a different feel to this race – this was no fun run! It was a hot evening so warm-ups were kept to the mininum. The race starts about one kilometer from the village. It’s a nice wide start so it’s easy to get away in one piece. You have the joy of passing by a pub and groups of pint-swilling locals as you come into the village, then it’s a left turn out into the country roads. The first 5K is pretty much flat with some downhill sections. The first climb is a short hill around the 6km mark and then there’s a straight drag between kilometers 7 and 8 which, combined with the heat, produced a few casualties on the night. But the heat wasn’t an issue for our top runners with PBs galore for our men. 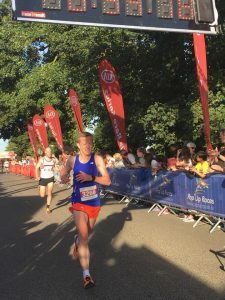 Eoin Devlin was first home in 33:14, placing him 22nd overall. A great performance as usual from Eoin. 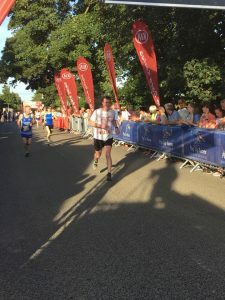 Next up was Podge Coyle with a new PB time of 34:22. Well done Podge! 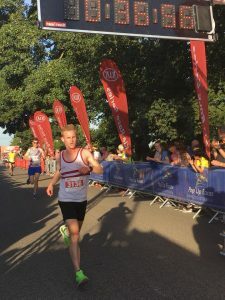 Eanna Kavanagh continued his great run of form with another PB of 34:34. 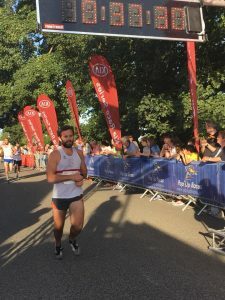 Brian Walls smashed his PB by 2 minutes, coming home in 36:08. 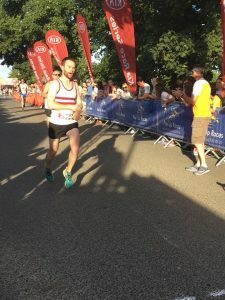 Patrick O’Reilly also joined the PB club with 36:47. 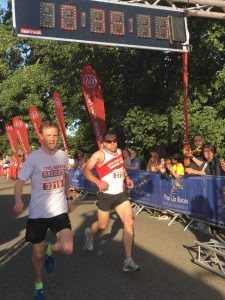 There was nothing between Jason Reilly and Paul O’Neill, both finishing in 36:54. 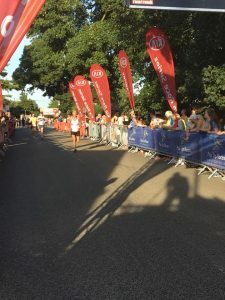 Next home was Andrew Moore in 37:28. 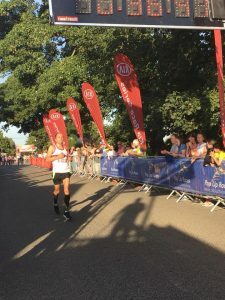 Despite some confusion about where the finish line was, Gareth Horgan smashed his PB, finishing in 37:32. 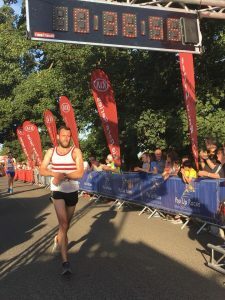 Noel Ryan was next home in a time of 40:05, followed by Thomas Geoghegan in bang on 42 minutes. Vincent O’Neill’s time of 42:02 earned him third place in his age category. Well done Vinny! 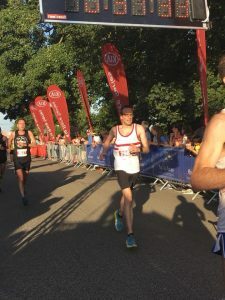 Great running also from Keith Farrell to finish in a new PB time of 42:16. Owen Percy then came home in 48:23. The men’s team of Eoin, Podge, Eanna and Brian were 9th overall. A great showing in such a competitive field. 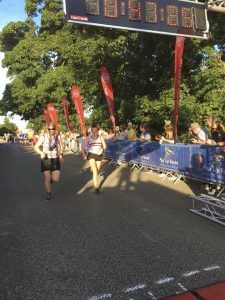 Siobhan Carroll was first woman home in 41:07, placing her second in her age category. Great running from Siobhan. I was next in 44:46, followed by Karen Birney in a PB time of 47:19 and Emily Ennis in 49:28. The women’s team consisting of Siobhan, myself and Karen placed 6th in the team competition. Not bad going considering the small contingent of women we had on the day. All in all a great day’s running in Dunshaughlin. I think we’ll be back. We also had some club runners competing in the Irish Runner 5 mile in the Phoenix Park. 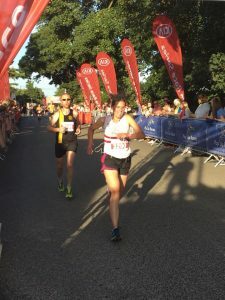 Congratulations to Grainne Butler who finished second in her age category with a time of 33:17. 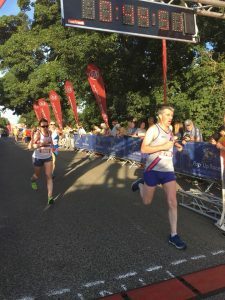 Marie O’Connell was next woman home, finishing in 38:04, followed by Marie Norris in 41:05 and Margaret Maloney in 53:20. 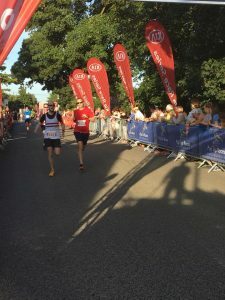 Eoin Kealy finished in 31:04 and Sean Ryan’s time of 31:25 earned him second place in his age category. Well done Sean.